While Kate Middleton has been in the news a lot lately, you may not have heard that her family owns a party store/website. I thought it was interesting that the future Queen of England and I had so much in common! Something else I noticed is that Kate Middleton and Lynda Carter (Wonder Woman) look a lot alike. 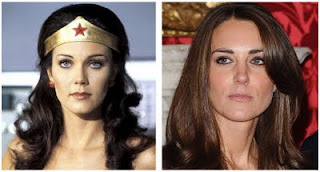 Another interesting coincidence is that Lynda Carter's name, on the hit TV series, was Diana Prince, and Kate Middleton is married to a Prince! 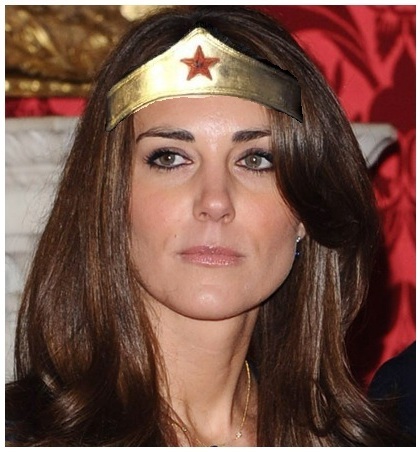 Hmmm...I think if they make a new Wonder Woman movie, Kate should play her. What do you think? Wow, they really do look alike. I never noticed before. Great article!